Adding new custom properties to files can be a repetitive task, especially if the information being added can be the same for multiple parts. Entering information using the file properties button on the command manager can allow for human error. 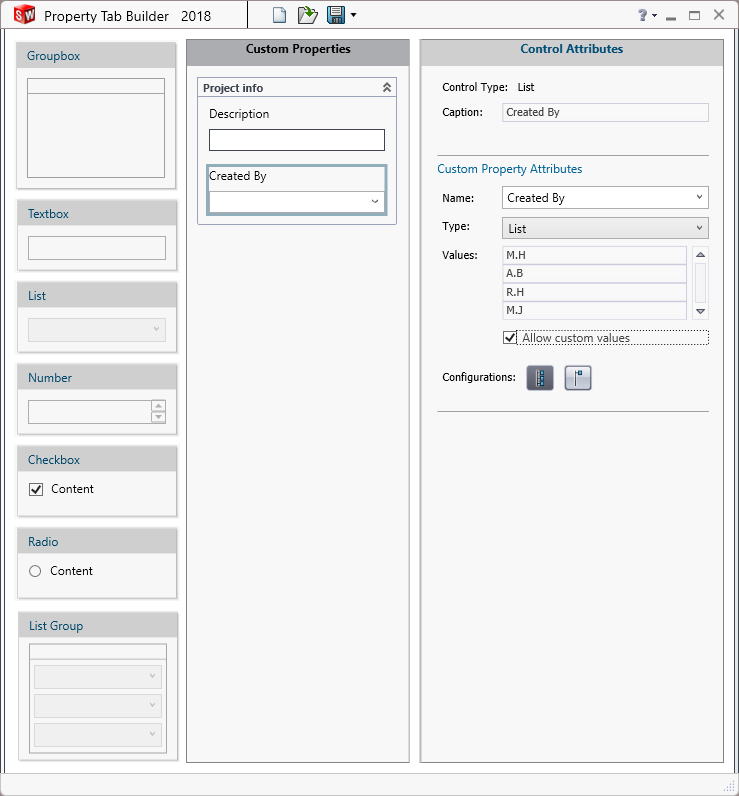 Property tab builder is a tool that can be used to create a template for adding properties to Parts, Assemblies and Drawings. 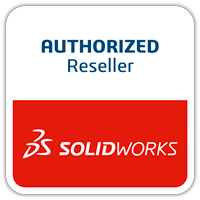 Creating a Custom Property Tab can alleviate some of the repetitiveness of the task by having the user select properties from a list within the task plane of SOLIDWORKS. 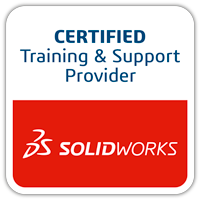 Select what type of component is required from the left-side column to match the information you wish to put in. 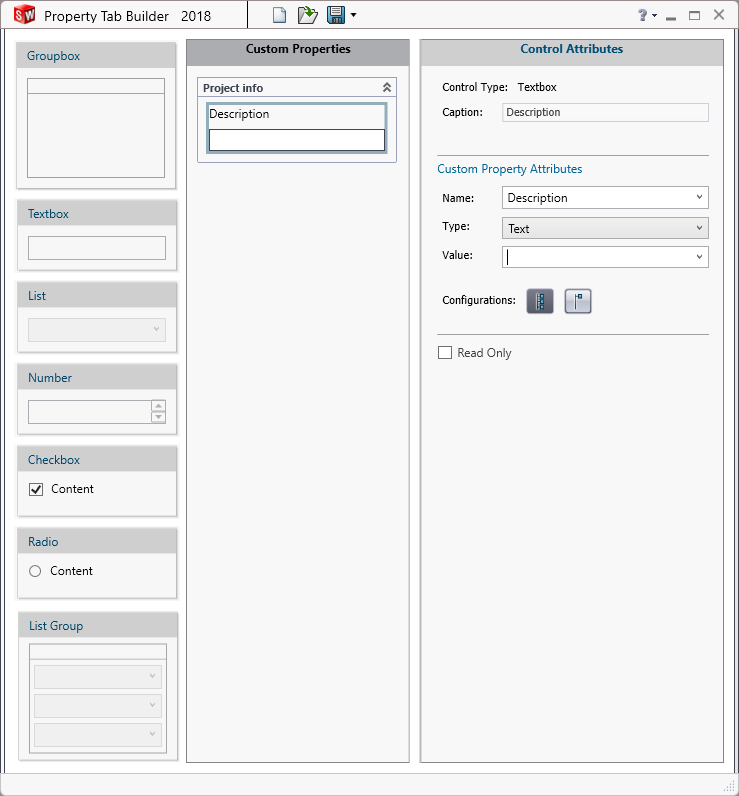 Drag this component to the custom properties column, then edit the Control attributes for that component using the right-side column. In this example I have dragged in a text box. The caption is what will be what appears in the tab when adding the value of the property. 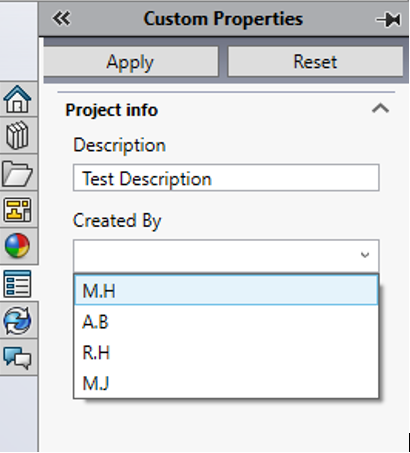 For the name I selected description from the Drop-down, this is the Custom Property that the data will be written too. You can also select if this property is written on to a specific configuration or to all of them. I dragged in a list and captioned and named this Created By, I added some initials to the list as well as selecting “Allow custom values”. 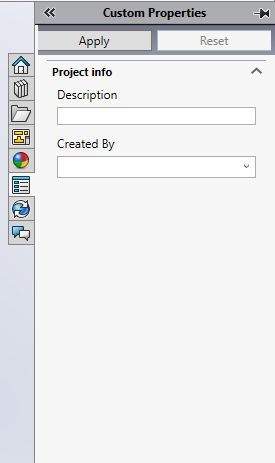 This will allow the user to add a custom value which is currently not included on the list. Saving the template will save the file as .prtprp Which is used for adding custom property for Parts, to add custom property tabs to Assemblies and drawings the file extension can be altered to .asmprp and drwprp respectively. 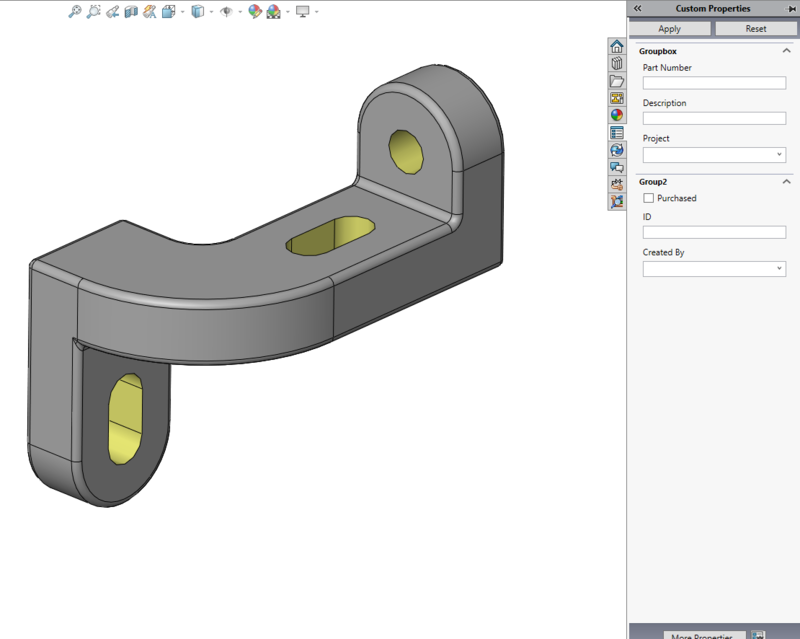 In SOLIDWORKS the users can now access using the custom property tab (3rd from bottom) on the task plane. Entering some information and clicking apply will add the values to the custom property for the file. Once created the files can be distributed to numerous machines or stored on a network location and have other machines look for that folder. This entry was posted in SOLIDWORKS, Tech Tips and tagged Property Tab Builder, SOLIDWORKS, Tech Tips.